Learn how to make Cloud 9 Instant Pot Dulce De Leche Recipe (Pressure Cooker Dulce De Leche). No can, no jar method. 2-ingredient super easy to make. Creamy, silky smooth, deeply caramelized dangerous indulgence. Makes perfect DIY Christmas gifts. After hours of research & 9+ Tests with 9 cans of Sweetened Condensed Milk, we’re proud to present our glorious Cloud 9 Instant Pot Dulce De Leche Recipe!! Dulce De Leche is finger licking ecstasy. A sinful indulgence as a kid. Dulce De Leche is a sweetened condensed milk caramel that’s popular through South America. Thick, spreadable, smooth, aromatic, rich, deep caramelized flavors. We love making Dulce De Leche in Instant Pot Pressure Cooker because it’s easier, faster, and no need to babysit the pot on the stove! Making Dulce De Leche on the stovetop normally requires 1.5 – 2 hours hands-on simmering with an occasional stir. And it takes roughly 8 – 12 hours in the Slow Cooker. 1. Which Brand of Sweetened Condensed Milk? When we checked different brands of Sweetened Condensed Milk at the grocery store, they have more or less similar ingredients and nutrition facts. So, does it matter which brand we use? We tested our Instant Pot Dulce De Leche Recipe using 3 different brands of sweetened condensed milk: Eagle Brand, Longevity Brand, and Store Brand. And the answer is YES! It matters. The brands vary in flavors (complexity, sweetness) and texture (creaminess). And these factors affect the quality of the final caramelized Dulce de Leche. Longevity Brand & Store Brand caramelized better/faster (darker color) than Eagle Brand. Store Brand took High Pressure 40 mins + Natural Release to reach desire caramelized color. Longevity Brand‘s result was similar to Store Brand’s. Eagle Brand took High Pressure 60 mins + Natural Release to reach the same color. 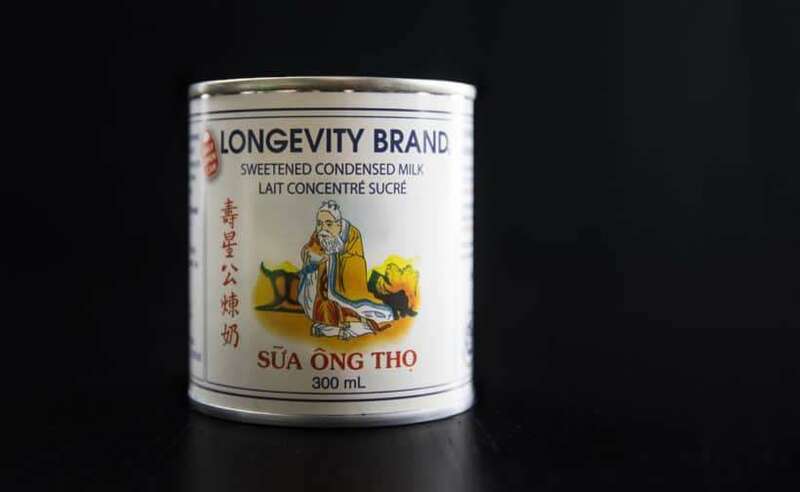 Longevity Brand wins over Eagle Brand and Store Brand in terms of overall flavor complexity (balanced & not flat tasting), sweetness (not too sweet), and texture (creamy thick syrup texture), both before and after caramelization. Get your hands on the Longevity Brand! *Pro Tip: If you couldn’t find them in your local supermarkets, try an Asian market or buy it on Amazon. P.S. We’re not sponsored by the Longevity Brand. And our taste-tests were totally unbiased (though the Longevity Brand was founded by a fellow Hong Konger – 蔡念因先生 🙂 ). 2. Which Method to Use? 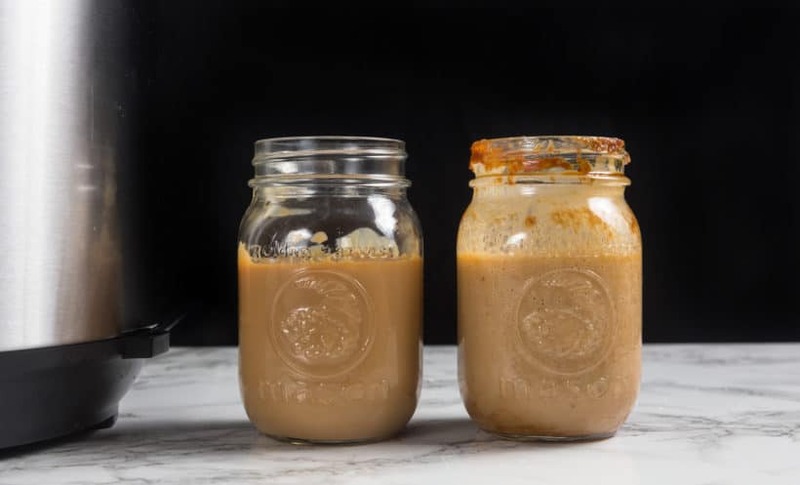 2 of the most common methods to make Instant Pot Dulce De Leche: in Mason Jars and in the Original Can. However, there are disadvantages to both methods mainly concerning safety and quality of final results. Let’s take a look at each of the methods. Since Condensed Milk Manufacturers advise against heating the condensed milk in the original can due to safety concerns, we didn’t want to risk it. Longer Time: you need to wait for the can to totally cools down before it is safe to open – the wait is a killer! Making Dulce De Leche in the jar is a popular alternative. Convenient for Gifts: you can decorate & gift the glass jar you made them in. Room for Error: may not yield great results if the lid was too loose or too tight. More Time-Consuming & Harder to Remove Lumps: since the Dulce de Leche are in individual jars, you’ll need to whisk through each jar for a few minutes to smooth out the caramel. Why use the Stainless Steel Bowl Method? Our last concern is how to achieve a beautifully caramelized Dulce De Leche. With Baking Soda: more intense color, more caramelized, slightly less sweet with more flavors complexity, tastes like caramel sauce with slight milky sugary flavors, buttery aroma, tastes better than without Baking Soda. *Note: Since milk is slightly acidic, you won’t be able to taste the small amount of Baking Soda. The secret to achieving beautifully caramelized color in a shorter time: Baking Soda!! After 9+ Tests with 9 cans of Sweetened Condensed Milk, we were lifted into a state of perfect happiness – Cloud 9 – as we indulge in spoonful after spoonful of Dulce De Leche. Hence, we’re naming this glorious Cloud 9 Dulce De Leche! Time to make some Instant Pot Cloud 9 Dulce De Leche!! Use Baking Soda – NOT Baking Powder. In a small mixing bowl, combine ½ tsp (3g) baking soda with 3 tbsp (45ml) warm water. *Pro Tip: Mix very well until all the baking soda has dissolved. *CAUTION: double or even triple check – we’re using Baking Soda for this recipe, NOT Baking Powder. Pour 1 14oz can (414ml) sweetened condensed milk in a stainless steel bowl (we used a 7” bowl for our 6 quart Instant Pot). Add in the baking soda mixture and combine. Mix well. Add 1 cup (250ml) cold water in the Instant Pot. 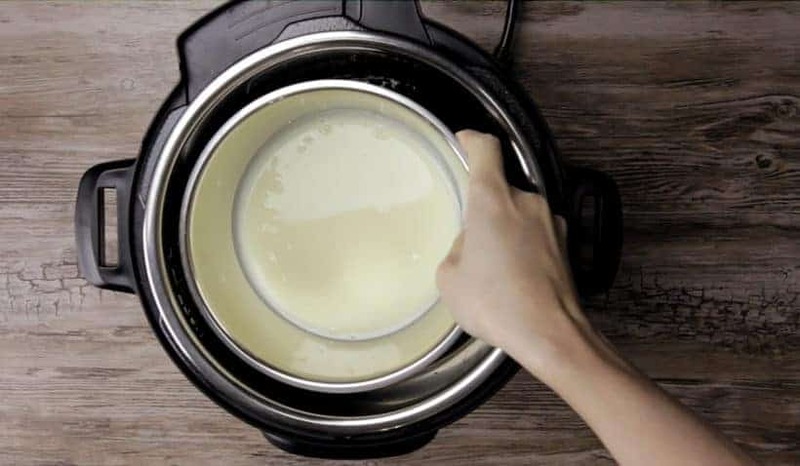 Place the stainless steel bowl of condensed milk mixture directly in the water. 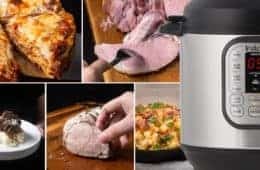 Pressure Cooking Method: High Pressure for 40 – 90 minutes (see Pro Tip), then Full Natural Release. *Pro Tip: We tested 3 different brands of sweetened condensed milk. One brand took only 40 mins + Natural Release to reach desire caramelized color, while the other brand took 60 mins + Natural Release to reach the same color. Adjust accordingly. 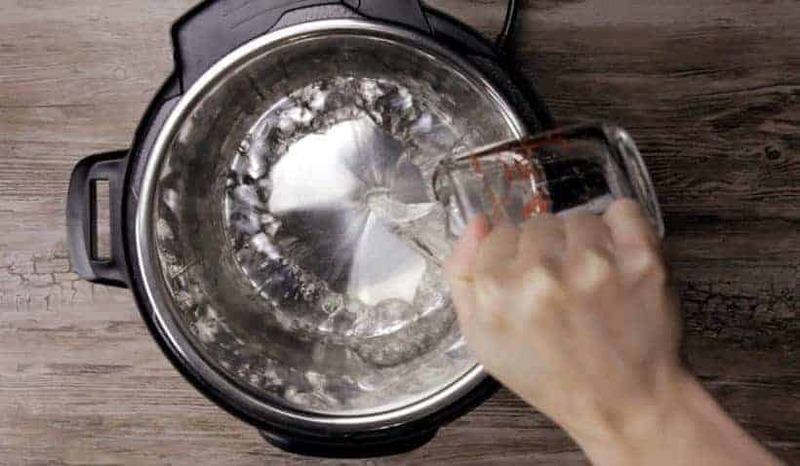 Remove the stainless steel bowl from the Instant Pot pressure cooker. Mix & inspect the dulce de leche with a fork. 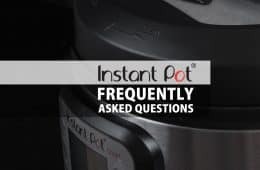 *Pro Tip 1: If it is not caramelized to desired color, simply place it back into the Instant Pot and pressure cook it for another 20 – 30 minutes. *Pro Tip 2: Depending on your brand of Sweetened Condensed Milk, the Dulce De Leche can turn out lumpy and looks unappetizing. Don’t worry! It’s perfectly normal. It takes 30 seconds to smooth it out with an immersion hand blender. *Note: if the Instant Pot dulce de leche looks a bit runnier than your desired consistency, keep in mind that it’ll gradually thicken as it cools, and it’ll harden when it’s chilled overnight in the fridge. The possibilities are endless on how to enjoy this dangerous indulgence Cloud 9 Instant Pot Dulce De Leche. Let your creative side shine! *Note: the Instant Pot Dulce De Leche will thicken up as it cools and thin out as it warms up. What’s your favorite way to enjoy Dulce De Leche? Leave us a comment below. 1. Choose Your Brand of Sweetened Condensed Milk Wisely. After tasting and testing our Instant Pot Dulce De Leche Recipe with 3 Sweetened Condensed Milk Brands: Eagle Brand, Longevity Brand, and Store Brand, Longevity Brand clearly wins. 2. Triple-Check You Have the Right Ingredients! Baking Soda – NOT Baking Powder. 3. Dulce De Leche Not Dark Enough? 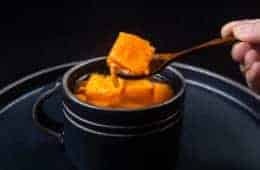 If the Dulce De Leche didn’t caramelize to your desired color, place it back in the Instant Pot and pressure cook for another 20 – 30 minutes. 4. Dulce De Leche Turned Out Lumpy? From our experiment with different brands of Sweetened Condensed Milk, some Dulce De Leche came out smooth, while others came out lumpy and looks unappetizing. 5. Dulce De Leche Not Thick Enough? If your Instant Pot Dulce De Leche looks a bit runnier than your desired consistency, keep in mind that it’ll gradually thicken as it cools, and harden when chilled overnight in the fridge. 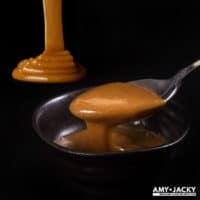 How to make Cloud 9 Instant Pot Dulce De Leche Recipe (Pressure Cooker Dulce De Leche). Creamy, silky smooth, deeply caramelized dangerous indulgence. No can, no jar method. 2-ingredient super easy to make. Makes perfect DIY Christmas gifts. 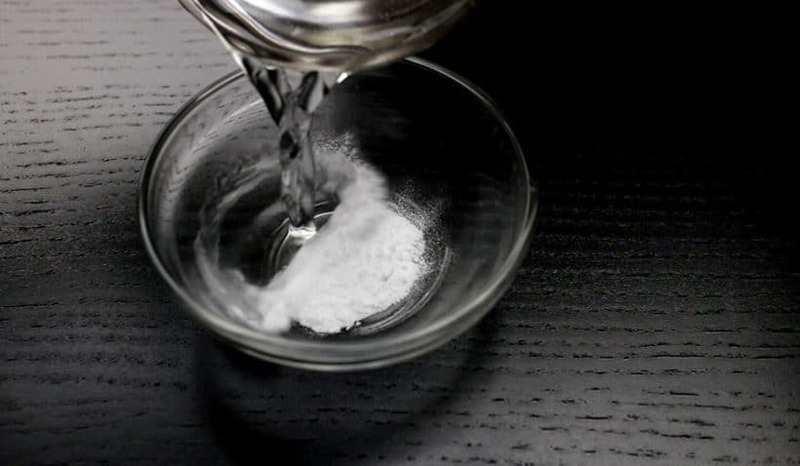 Create Baking Soda Mixture: In a small mixing bowl, combine ½ tsp (3g) baking soda with 3 tbsp (45ml) warm water. Mix very well until all the baking soda has dissolved. Combine Ingredients: Pour 1 14oz can (414ml) sweetened condensed milk in a stainless steel bowl (we used a 7” bowl for our 6 quart Instant Pot). Add in the baking soda mixture and combine. Mix well. Pressure Cook Dulce De Leche: Add 1 cup (250ml) cold water in the Instant Pot. 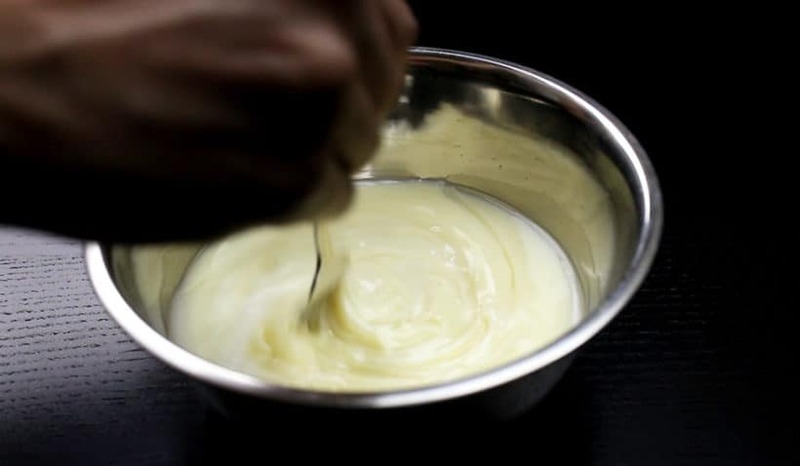 Place the stainless bowl of condensed milk mixture directly in the water. Close lid and pressure cook at High Pressure for 40 - 90 minutes (Please see notes), then Full Natural Release. Create Instant Pot Dulce de Leche: Open the lid carefully. Remove the stainless steel bowl from the pressure cooker. Mix & inspect the dulce de leche with a fork. If it is not caramelized to desired color, simply place it back into the Instant Pot and pressure cook it for another 20 - 30 minutes. The mixture will be lumpy, use an immersion blender or blender to smooth out the lumps. 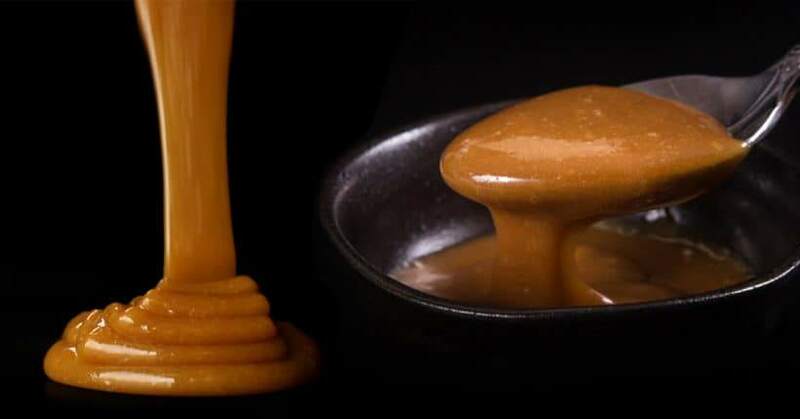 Serve: The dulce de leche will thicken up as it cools and thin out as it warms up. 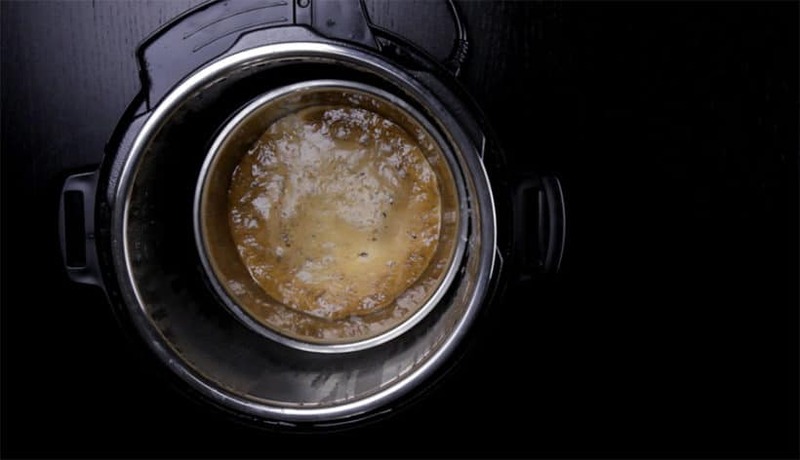 Pressure Cooking Time: We tested 3 different brands of sweetened condensed milk. One brand took only 40 mins + natural release to reach desire caramelized color. The other brand took 60 mins + natural release to reach the same color. So, adjust accordingly. We haven’t tried adding Erythritol or Xylitol to evaporated milk, but I believe they can caramelize just like sugar. Love this! Can you tell me something about the stainless steel pot you use? Where did you get it and what size. I have a 3qt ultra and need something a bit deeper than what I have. I used what I had on hand and it spilled all over! Thank you. It is a stainless steel bowl. We bought it at Daiso and you can probably find them in local Asian supermarkets as the pot-in-pot method is quite popular in Asia. Ok. I have one more question. Do you cover your bowl with foil? I have read other recipes that say to do so. Thank you! This is the best and easiest recipe. It is perfect! Thank you! Thank you for this recipe/method. Unfortunately, I only had Eagle brand on hand so I followed the time suggested for that brand. It came out dark like stated but it was very watery and also grainy which I couldn’t blend out with my immersion blender. It didn’t thicken once cooled. But, it had good flavor…inspire of the unpleasant grainy lumps. I’m going to try again. But I’m going to cover the bowl with aluminum foil to keep water from falling into the bowl and I’m going to shorten the cooking time by five minutes. I think it’s worth it for the flavor! Perfect recipe! Followed recipe to the letter & it was perfect at the 40 mins recommended. For those of us that can’t locate the brand of condensed milk that was recommended to use, Meadow Gold brand worked great. It’s a step above the Wal-Mart brand. I would have used Great Value if it had been in stock, but since the Meadow Gold was spot on, this will be the brand that I’ll stick with. Happy to hear Meadow Gold brand also work as well!! Made this for myself and for friends. It was wonderful and super easy! Thanks! Delicious , my friends love receiving this as gift at Christmas. I made the recipe last night, using 4 cans of Longevity brand, in 2 stacking stainless steel pans. First inside 50 minutes but it wasn’t dark enough so I did another 10. It is very smooth, no lumps at all, but it did not get thick! It looks and tastes amazing however. There was one odd thing though, after cooking when I took the top off the top pan and stirred it, the baking soda suddenly activated and the contents foamed way up and almost overflowed the pan. The bottom pan foamed a bit but nothing like the top. Even when I poured it all into jars there was a layer of foam on top in the ones from the top pan. Any idea why this happened? I love how thorough your recipes are and they usually work perfectly. Thanks for all you do! Any reason why I couldn’t use 2 stacking stainless steel pans and do maybe 4 cans of milk? I would like to give the dulce de leche as Xmas gifts. Yes, it will work fine. You will want to add more time as the one that is stacked will need more time. Can I use a oven safe glass bowl? I have tested the bowl out already in the Pressure cooker and it was fine. Also don’t I need to cover with foil? It will most likely work fine, but you will want to increase the cooking time by roughly 8 minutes. Covering or not will work fine. you will also want to increase the cooking time if you plan on covering the bowl with foil. Sorry to hear what happened. Here is 2 things I can think of. 1) Too much air bubbles were introduced in the blending steps. 2) The blender may not be powerful enough and the Dulce De Leche needs a little more blending time. Do you know, if after making this, it could be canned and made shelf stable? I would rather not have to take up space storing it in the fridge. We do a lot of canning, both water and pressure. That would be great to make larger quantities, and be able to store it in my pantry. It is still considered a dairy product so I will say no. In the photos, what is that bowl that is inside of the stainless steel bowl? Where can I find a stainless steel 7 inch bowl? I looked everywhere and I can’t find it. Thank you! We bought it at Daiso and you can probably find them in local Asian supermarkets as the pot-in-pot method is quite popular in Asia. This recipe looks amazing (as do all of yours!). 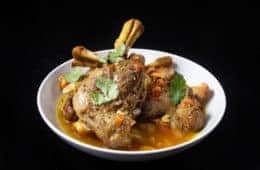 Can you tell me how much the recipe as you have it will make? 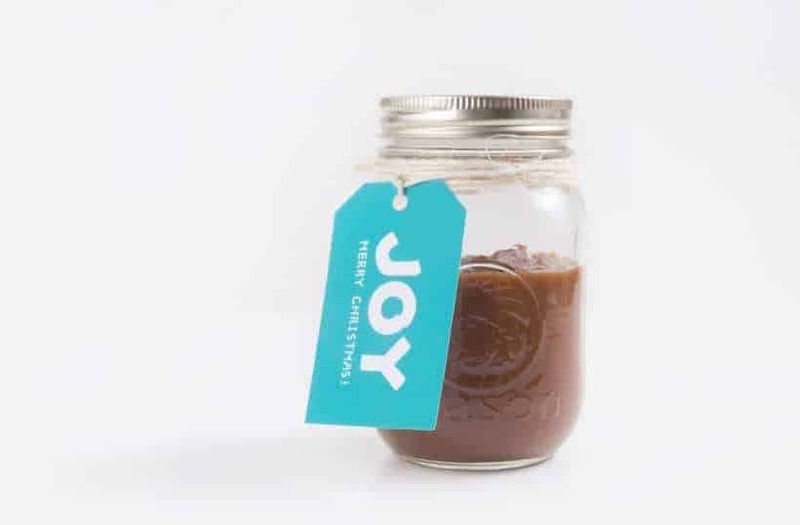 I’d like to fill approximately 12 – 4oz jars and give as gifts. Just trying to figure how many cans of condensed milk I should stock up on and how many batches it will take to make enough to fill them all. It will make roughly 14oz. What if I don’t have an Immersion Blender, can I strain thru a gravy strainer? If not, what other options? A gravy strainer will not work. If you have a stand up blender, that will be a good option. If not, I will try a fine mesh strainer. Can you double or triple the batch? If you have a deep container, it will work. You will want to increase the cooking time! How do we store it? Room temp or fridge? How long is it good for? Thanks! It will last roughly 4 weeks in an airtight container in the fridge. I love your recipes and making this caramel will be the second thing I have tried. MY question is what is the amount of baking soda do I use for the can 300ml ? I doubt have a stadium offers system bowl in hand… could I use a aluminum cake pan?? An aluminum cake pan should work just fine. You may want to increase the cooking time by a few minutes. Hi! I want to try this recipe–sounds heavenly!!! Could you please clarify for me the size can of sweetened condensed milk you used? The recipe says 14oz (396g) but there’s a picture of a can of Longevity brand that says 300ml. Is that the same? Also, will the overall volume be reduced once cooked? Just wondering what size mason jars to buy if I want to give some as gifts. Thank You! Eager to try this! I have fat free store brand condensed milk on hand, will fat free condensed milk work? Hi— I’m making this morning. I added some more time after checking after 40 minutes. One question— could you cover the bowl with foil or something? I feel like that would stop any condensation from the lid, etc, from falling in the bowl with the milk— because when I checked, it seemed really watery— what do you think? You can cover the bowl with foil and increase the cooking time by 10 minutes. Thanks for being so sweet Sharon! 🙂 Happy to know you enjoyed the Dulce de Leche in Instant Pot! I made this last night using Magnolia condensed milk. I put it in for 40 mins HP and the color came out great, but it’s very liquidy. Even after keeping it in the fridge overnight, it is still just a liquid. What did I do wrong? Is there anything that I can do to save this batch? Thank you! If the color came out great, it means it has caramelize properly. You probably didn’t do anything wrong. There may be an ingredient in this brand that doesn’t allow the condensed milk to thicken at cooler temperature. Can this be stored at room temperature in a Glass jar or does it have to be refrigerated? It is best to have them refrigerated. I am a lover of caramel surrounded by non lovers of caramel. Made this the other night and it was absolutely lovely! Only cooked it for 60minutes and it was a beautiful deep colour. Hubby asked what it is supposed “to go with” and my immediate reply was “my spoon and my mouth”. Dulce De Leche is awesome with cheesecake as well! I have some small cans of Nestle condensed milk, the 4 oz. size. How long would I cook one for, following the directions as stated here? The cooking time and directions will be the same for 1 can of condensed milk. You will want to use less baking soda and warm water. Just tried this recipe tonight – delicious! I used the brand you suggested – Longevity and cooked it 40 min HP, then NR. When I took it out of the pot, it was a bit runny in consistency and foamy on top. I stirred it up – no lumps at all, but nice dark color and very good taste. I will wait to see the consistency after it spends the night in the refrigerator. How thick is it supposed to be? Can you stand a spoon up in the container without it falling over? Mine does not look as thick as in your pictures, at least right now. It will thicken quite a bit once it cools to room temperature. Hi! Thanks for the recipe! I usually buy the sugar free dulce de leche (no sugar added/ just stevia). How can I do this in the IP? With evaporated milk, stevia and arrow root maybe?? Do you have any idea? Just made this tonight. Color and flavor are great, but it got oddly frothy when I used the immersion blender. Any idea why? Since this is for my husband’s lunches and the froth will actually help keep it softer, this is actually a good thing, but I’d like to know if this was due to accident, brand, or what. I used “great value” condensed milk. It sounds like the immersion blender was not submerged properly into the Dulce De Leche. The blender will introduce air bubbles when it is not fully submerged. Hopefully this will solve the issue! Your method worked perfectly using one of the Ekovana pans covered with its solid lid. I did two cans of Eagle Brand for 45 minutes, and got a nice dark brown, perfectly caramelized result. The flat bottom of the stacking pan made it easy to use my immersion blender for the last step. Smooth and Delicious! Thanks for the recipes and your unique method. Will this recipe work with any electric pressure cooker? I have the power pressure xl. Most of our recipes will work with the Power Pressure Cooker XL. Can this recipe be doubled? If so, would you double everything (including the amount of water in the pot)? Thanks! This recipe can be doubled, but you will want a larger container. The water will stay the same, but the cooking time will have to be increased by 25 – 30%. Can i use a hand mixer instead of an immersion hand blender? We haven’t tried using the hand-mixer for this, but I don’t think it will work. I have the 8qt IP. Do I need to adjust the amt of water or pressure time comaped to the 6qt you used? Worked perfectly and without the dangers of a can under pressure. 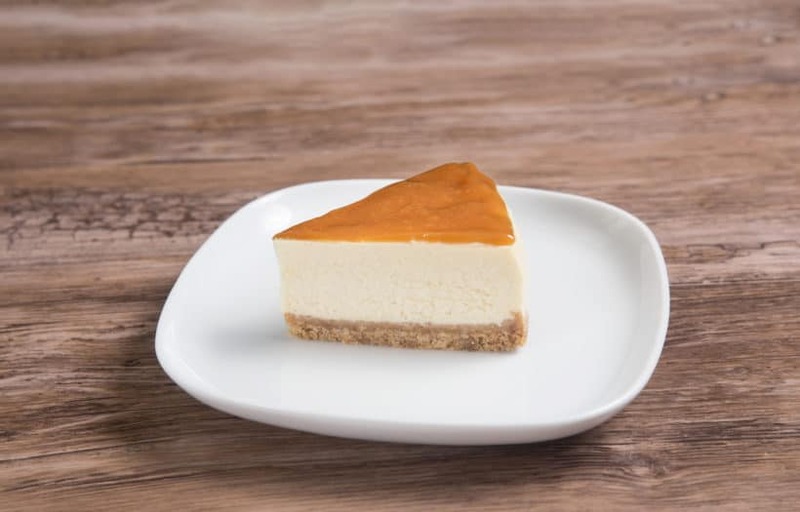 Hi love your site, just made your cheesecake turned out perfect, but quick question if using a pyrex glass bowl for the Dulce de leche (as I can’t find the metal one) can I still place it directly in the pot or should I put it on the trivet? Thanks in advance. 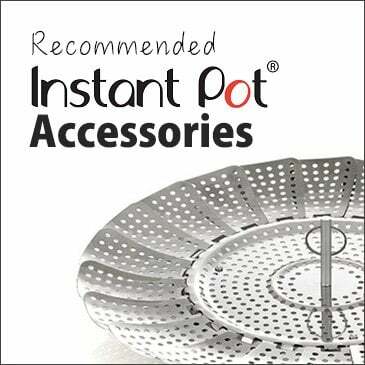 I would recommend placing it on a trivet as the excessive shaking can be a bit violent for a glass bowl. It is in the pot now!!!!!! I am so totally excited, as I tried a different recipe and it was good, but looking forward to this being even better! Never had bad caramel, and I know yours can ONLY be great!!!!!!!! :*( What a disaster! Not sure what happened, I followed the directions EXACTLY. EXACTLY. I used 45 minutes to be on the cautious side. When it was done, it was so burnt, we couldn’t even eat it 🙁 Bummer! sorry to hear that. Was it looking like this picture? Blending it with an immersion blender will make it smooth again. yes, Jacky, it looked similar to that, but dry and crusty as well. I did originally use the immersion blender, because again, I did EXACTLY as you instructed. But, it didn’t even help my outcome. Were all the water in the bottom of the pot evaporated when you opened the pot? I just made this recipe, very excited to taste it…I love dulce de leche. 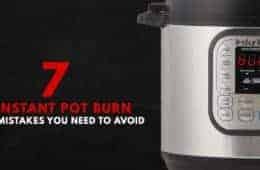 How long do you estimate for the full natural release in my 6 qt instant pot? I am keep having to tell myself not to open it too soon. Thank you for your great recipes and easy to follow instructions. It should be roughly 15 minutes. I have used the can in water method for 25 plus years. I have never encountered any abnormal conditions. Cooking time is around 2-3 hours. And certainly the water level needs to be watched. We have to top the water every 20 minutes. The results are very consistent. However it is not messy as you described. The messy part is mostly the result of pressure cooking. The high heat in pressure cooker causes the adhesive to melt. Used your recipe and method, and while the results were delicious, way too much water got into the stainless steel bowl and I ended up with something more like dulce de leche soup (still great on ice cream! And I’ve been using it in my tea, so good). The problem, looking at your pictures, is I used a much narrower bowl than you show, leaving a lot more space around the top of the bowl within the instant pot. I think that maybe let more steam get into the bowl. Next time I’ll probably loosely cover the boil with foil to keep the condensation out of it. That could also be the case. Are you supposed to cover the pot (like with foil) when it’s in the IP? mine was really watery from the condensation that fell in it. Covering the pot with foil will also work. The cooking time will be roughly 10 minutes more. Not sure if this was the problem. When opening the lid, make sure the lid is not tilted so that the condensation will drop into the pot. I absolutely love your website. I learned so much and I now use my pressure cooker very often. I made a batch of this according to your recipe but was wondering how do I made it into salted caramel ? Thank you a lot in advance for your time and effort. You can add some sea salt to the Dulce De Leche. I would try a small batch first. Please taste and adjust accordingly. Do you have a link for the food grade 7″ stainless steel bowl? Hello! Can I use evaporated milk instead if I want unsweetened dulce de leche? Would the consistency be ok? Thank you!! The caramelizing & browning requires the sugar in the condensed milk so evaporated milk will not work. Or can you post instructions on how to make it in the mason/glass jars? Or is it the same? Fat Daddio cake pan (Not the push pan version) will work. If it is a push pan version, you can place the pan on a trivet and increase the cooking time by 8 – 10 minutes. I won’t recommend using mason jars for this method as you will want to use an immersion blender to smooth out the mixture after. Merry Christmas & Happy Holiday to you and your family Christine! 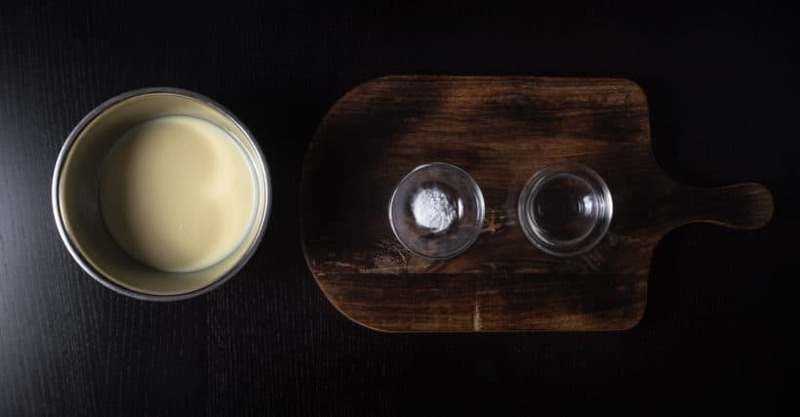 Last night i tried making this using a glass bowl and making my own condensed milk with 370ml can of evapourated milk and 1 3/4 cup + 2tbsp sugar. Processed in my instapot 3 times. First 40min NR, second 20 min NR and 3rd 30 min NR. Chilled in the fridge over night never thickened up and still tasted more like condensed milk then caramel. I put it into mason jars and processed again this morning for 40min NR its a deep caramel color hoping once cooled itll taste more like caramel and thicken up. If not anyway/suggestions to fix it? Sounds like the DIY condensed milk has too much water content in it so it didn’t caramelize properly. I would try thicken it up on the stovetop by reducing some of the water content. Merry Christmas & Happy Holiday to you and your family Katrina! I just made this and the blueberry compote for Christmas gifts and they are both amazing!!! Thank you thank you! ? Can’t wait to try both over #17 cheesecake! Also will this work if i wanted to make in my canning jars instead? Without putting lids on? It will be harder to make in canning jars as you will really want to use a immersion blender or blender to mix the mixture after. Thank i plan on using wide mouth jars that my immersion blender fits into next time i make it. It needs to be refrigerated. If you place the dulce de leche in an airtight container, it will last for 3 weeks in the refrigerator. After only five minutes my Dulce de Leche was coming out of the over flow and the release valve. Turned my IP off, let it cool, opened up the pot and I have Dulce de Leche everywhere except in the stainless steel bowl. Hmmm. Curious as to what happened? It sounds like no water was added to the IP and the heat wants to boil the condensed milk. Was water added to the inner pot? How much condensed milk was used? I can only find cans of condensed milk that are 300ml. Will it still work? It will still work with 300ml. Make sure to adjust the baking soda amount accordingly! What is your brand of stainless steel bowl? I have searched and can not find one that says it is ovenproof, etc. I know many use just any old stainless steel mixing bowl, but I want something that does not have nickle, etc. in the stainless. Thank you. Why couldn’t I use my 7 cup glass Pyrex dish for making this? It’s the perfect size. Hope you have been doing well. Didn’t see this comment earlier! It will work. You will need to increase the cooking time by 5 – 8 minutes with glass pyrex dish. following up on Beckie’s question: how much room should be left at the top after pouring in the mixture? if I double the recipe how much room should there be at the top of the stainless steel bowl? About 2.5″ – 3″ should work just fine! I have a question about the 7″ stainless steel pot in which you cooked this stuff….is it the same pot that comes with the 6 pt. 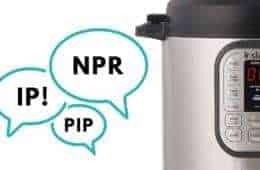 Instant Pot or something smaller? If it’s smaller, where did you get it? It will work great with apples. Chilled Dulce De Leche is quite thick and will stick to apples! You may have to warm up the Dulce De Leche a bit if it is too thick. Glass bowl okay? Also, dumb question, what are the uses for this? Glass bowl will work okay, but stainless steel bowl will work better. Dulce De Leche can be used as a dip or similar to salted caramel. If you place the dulce de leche in an airtight container, it will last for 3 weeks in the refrigerator. I don’t have an immersion blender… can you smooth it out by hand? It will take a lot of time and power to whisk them back together. If you have a standard blender, it will work as well. I want to make my own sweetened condensed milk instead of buying the canned product. As long as it’s proportionally correct, it should work. Yes, sweetened condensed milk is concentrated milk with a lot of sugar. It will take quite a long time to make the same amount as a can. Can you double or triple the recipe? Thanks! You can double the recipe if the stainless steel bowl is deep enough. Recipe doesn’t call for covering stainless steel bowl. Wouldn’t covering it improve consistency by keeping steam and condensation out? Wanted to check before I tried it out. 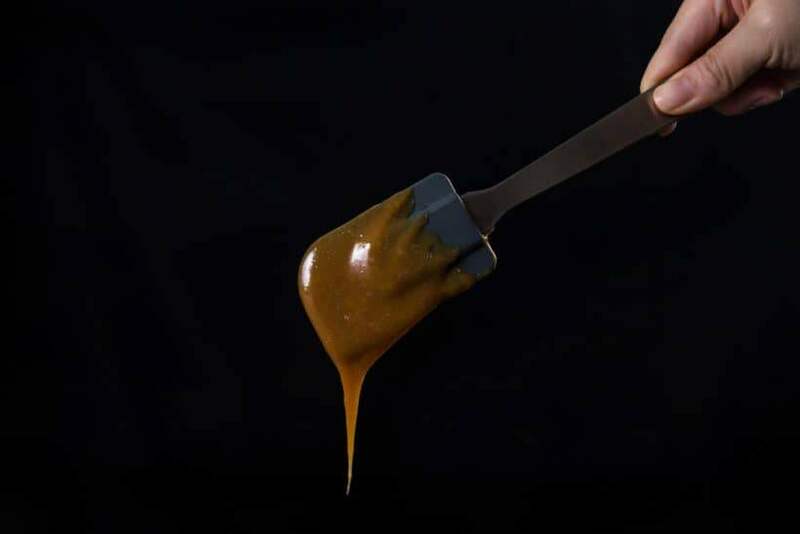 No need to cover as we want as much heat to caramelize the Dulce De leche. Only a few drops of condensation will get in and it can be smoothen out at the end.